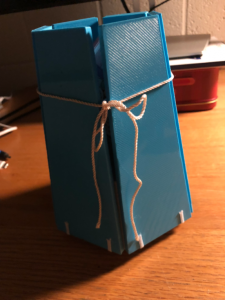 In the fall 2018 semester, I worked with students in two sections of Dr. Amanda Wetsel’s Writing 101 course, Photography and Anthropology to introduce them to the Rubenstein Library’s collection of artists’ books. As context, Dr. Wetsel shared that students in Photography and Anthropology consider how anthropologists have treated photographs both as an object of inquiry and a means of communicating their findings. She writes, “As they read both early and contemporary anthropological texts, students think about multiple ways words and images interact. 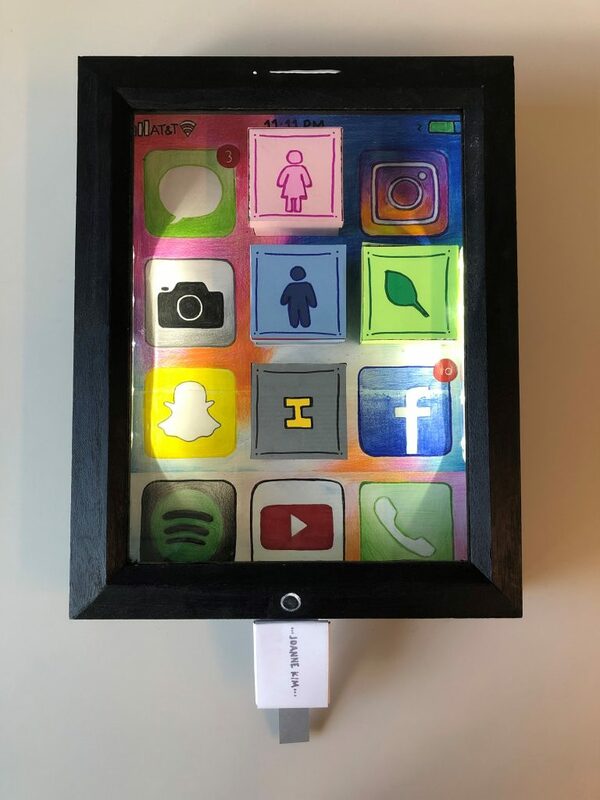 They then conduct ethnographic research on a photographic genre here at Duke, such as lock screen photographs, Instagram accounts, and displays of photos in dorm rooms.” As a final project, several students used the format of an artists’ book to convey their findings with words and photographs. Viewing artists’ books at the Rubenstein prompted students to think about how the form of a book can reflect its content, how to create powerful texts and format those texts creatively, and ways of making books engaging. As they unfolded the game board of Julie Chen’s A Guide to Higher Learning, stretched Ed Ruscha’s Every Building on the Sunset Strip across the table, tugged down the staircase-like accordion folds of text on Clarissa Sligh’s What’s Happening with Momma and unrolled the delicate, cigarette-shaped scrolls of Amy Pirkle’s Smoke, students thought about how they could adapt the forms to communicate their own research. We’re fortunate to have a range of creative and beautiful artists’ books at the Rubenstein for students to touch, read, and use as inspiration. The form of the artists’ book allowed the students to combine text and photos in powerful and unexpected ways. The transition from home to college life is a daunting change which necessitates adaptation and the reconciliation of homesickness, and in some cases, existentialism. At Duke University, freshmen female and male students handle change differently. Female students respond by physically displaying the change in spaces such as their cellphone lock and home screen wallpaper. 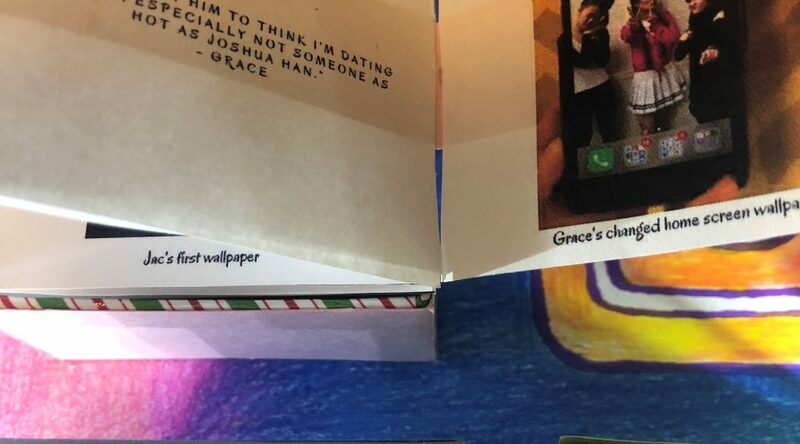 Male students seek some consistency in a major time of change, and therefore, keep their lock and home screen wallpapers the same through the transition. All the while, both genders utilize the space as a means of protecting and discovering their core identities throughout their freshman year and beyond. Memes function like a societal adhesive, a catalyst for unity in the ultra-diverse Duke community, as these witty photographs have for many years brought people together through shared laughter and warmth. 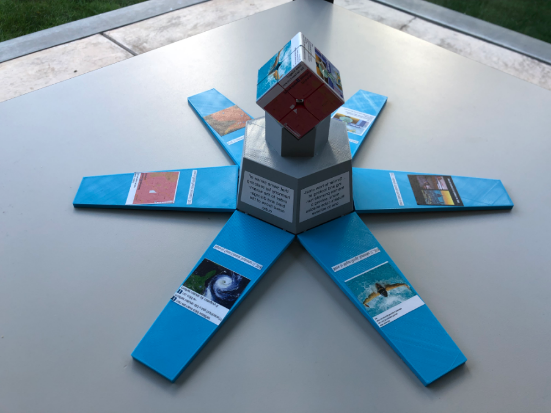 Similar to how creating and looking at memes promote harmony, solving a Rubik’s cube enables one to achieve that same sense of harmony by restoring order to the scrambled and disorganized faces of the cube. 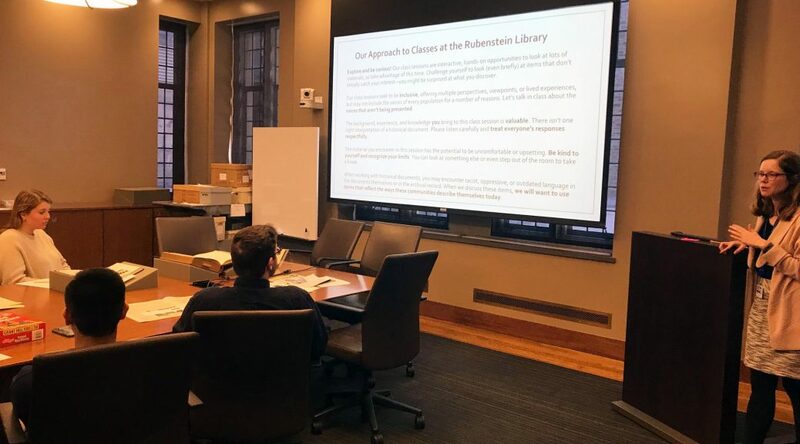 The Rubenstein Library will host a Duke Summer Doctoral Academy entitled “Teaching with Archives.” The one-week, 15-hour workshop will feature faculty from the humanities and interpretative social sciences who have incorporated rare book and special collections materials into their undergraduate courses. The will share their experiences of developing assignments and in-class exercises around these unique sources. The workshop will meet May 21-25 from 1:30-4:30. Registration through DukeHub is now open. Amari Victoria Stokes was a student in Kelly Alexander’s Our Culinary Cultures course offered in the Fall 2015 semester in the Center for Documentary Studies. Utilizing Rubenstein Library resources, students in the class were asked to explore the history of a culinary ingredient of their choice, find a recipe that exemplified their chosen ingredient, and prepare it for the class. The following is Amari’s research paper submitted for the class. Two eggs well beaten, one-cup brown sugar, two teaspoons ginger, one-cup N.O. 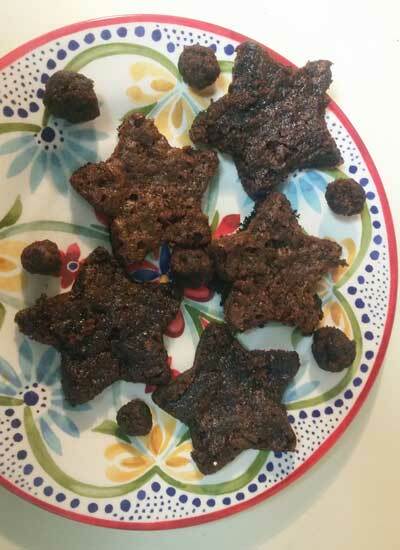 molasses (boiled), one-teaspoon baking soda, flour to roll out. Mix in the order given. I poured the molasses into a pot and watched small bubbles form and subsequently burst as the dark liquid began to heat. As the molasses boiled on the stove, I started mixing the ingredients in the order specified in the recipe. After the eggs had been beaten furiously with my new silver whisk, I began to measure the brown sugar for what I hoped would be a delicious dessert. Sticky and compact, I remember struggling to handle this strange sugar during family barbeques as we seasoned our meat. 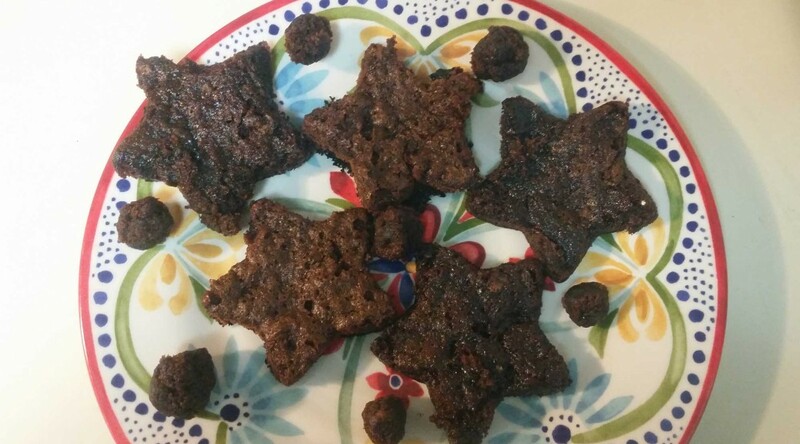 As I thought about it, I realized besides an occasional pineapple upside down cake, outside of barbeque, I couldn’t recall ever having used brown sugar. Why was that, I asked? As I turned down the heat on the molasses to allow it simmer, I carefully added ground ginger. Watching the ginger disappear into the creamy brown concoction, I thought back to my ancestors. It wouldn’t surprise me if at some point in history one of them had made the same treat for her master’s children while her own children toiled in the hot sun picking cotton or harvesting sugarcane. 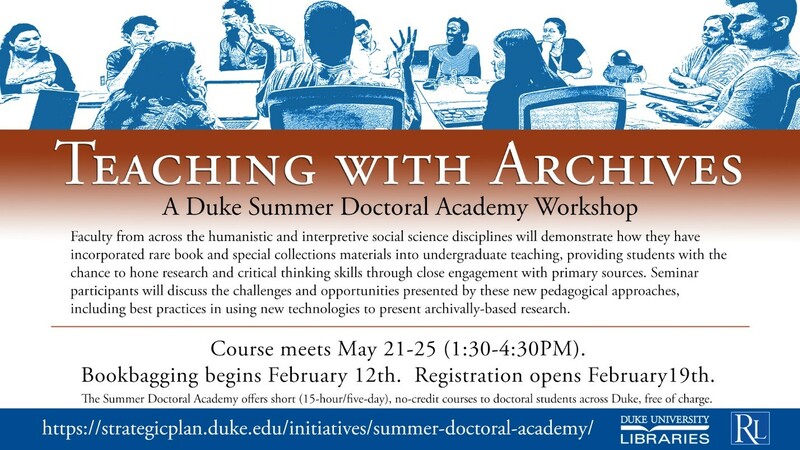 We’re excited to announce the first series of Archives Alive courses for Duke Undergraduates. 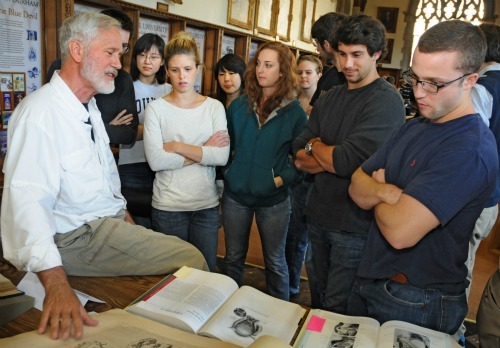 These courses will enable students to develop innovative and significant projects based on original materials held in the Rubenstein Library. These courses are open to first-year and upper-class undergraduate students and range from the arts and humanities to the socials sciences. Scholar-teachers guide students’ explorations, providing first-hand exposure to advanced research practices and immersive learning that goes beyond traditional coursework. Students produce signature products that demonstrate their capabilities for in-depth investigation, team collaboration and communicating the significance of their work to others. With the Fall Semester well underway, we wanted to let you know about a couple of videos that can make your research at the Rubenstein Library even easier. For example, not sure where to find us since we moved? Dwayne Dixon, a graduate student in cultural anthropology at Duke, recently donated a treasure trove of new titles to the his zine collection, part of the Sallie Bingham Center for Women’s History and Culture. While DJing a party last night at a professor’s house, I was told by a faculty member in the Music Dept that my zine collection was being used by a grad instructor teaching a course on punk history. I was so thrilled, as you can imagine, and it inspired me to unbox the last treasured horde of zines. I must confess I held the best in reserve in my initial donation. I have approx. 68 zines that are aesthetically, politically, and creatively rich. 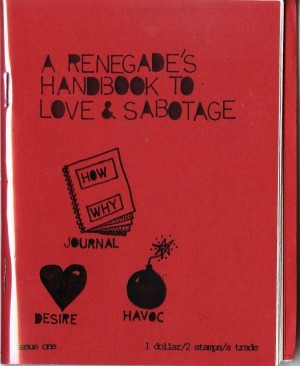 Hand-screened covers, some of the best zine writing ever, and incendiary politics that changed my life. I want others to be moved, too—by Mimi Nguyen’s Slander zine, by [anonymous’] Quiet Nights of Quiet Stars zine, by the dense tangle of punk and race and gender and a changing America of the last 2 decades. As Dixon mentions in his note, classes frequently use zines as a resource for learning. As with any other historical manuscript or artifact, zines help illuminate specific aspects of culture through their method of creation and their content. Zine authors use the freedom of the medium to confront important cultural issues as well as to divulge their own reflections and emotions. 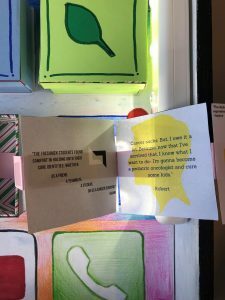 The handmade nature of zines also allows for more artistic presentations of information, creating visually engaging objects that also serve as reading material. 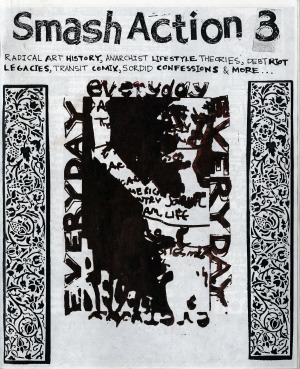 While zine culture still exists in a variety of vibrant formats, the movement was at its most powerful from the late 1980’s to the mid-1990’s. During that time, Dixon snapped up a great number of these publications and eventually gifted them to the Bingham Center in 2001 with an initial donation of over a hundred zines. Including the latest addition, the Dixon collection now contains almost two hundred zines chronicling topics such as body image, depression, politics, racial inequality, history, and personal exploration. The new addition has been added to the finding aid and is now available for research. Come take a look! Post contributed by Rosemary K. J. Davis, Bingham Center volunteer. 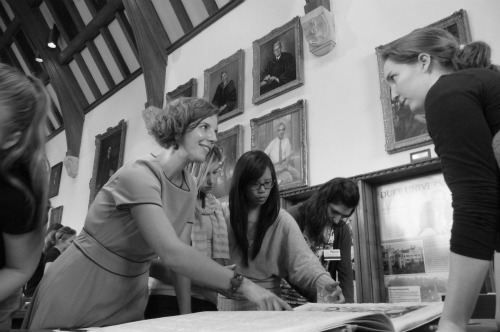 Monday was the annual Anatomy Day visit to the History of Medicine Collections. This is one of my favorite times of the year! 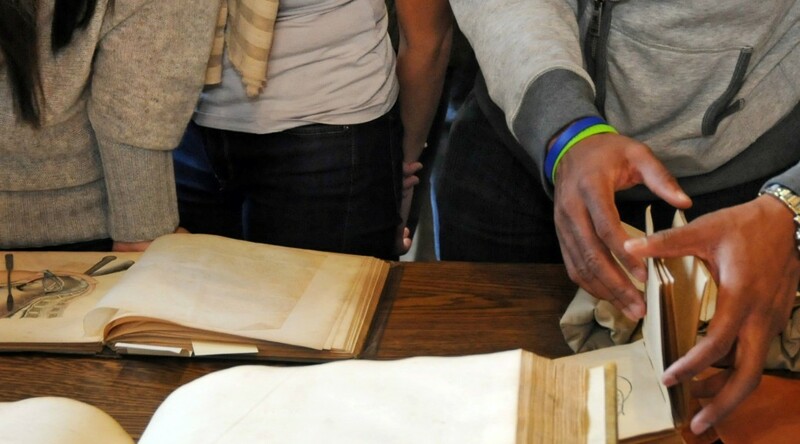 In the fall, all of the first year medical students here at Duke—about one hundred of them—visit the History of Medicine Collections to view historical anatomical atlases. This is a chance for them to see how anatomy has been represented over hundreds of years, and also provides stimulating and interesting texts that they can compare to what they are seeing in the dissection lab. Curator Rachel Ingold talks with medical students at Anatomy Day. Photo by Angela Mace. 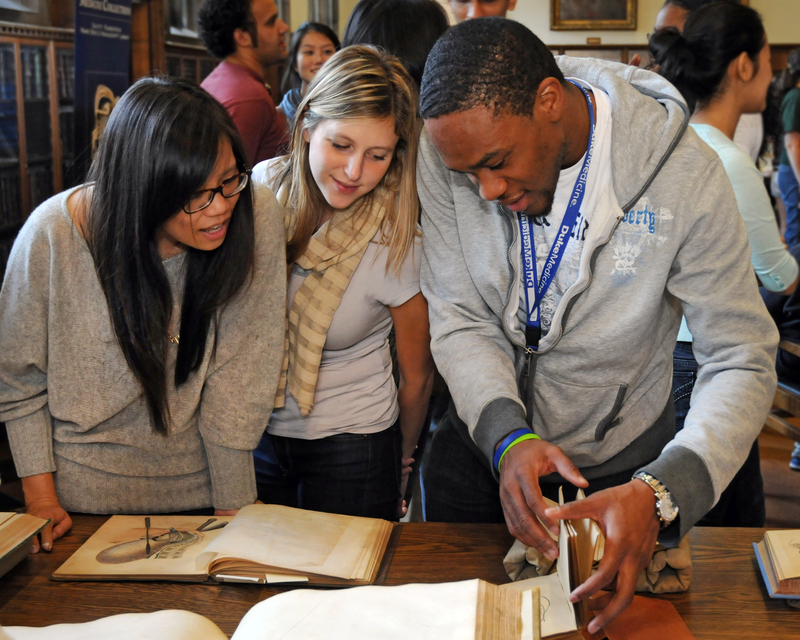 Faculty and staff contribute to Anatomy Day by engaging with students and asking questions about the texts on display. 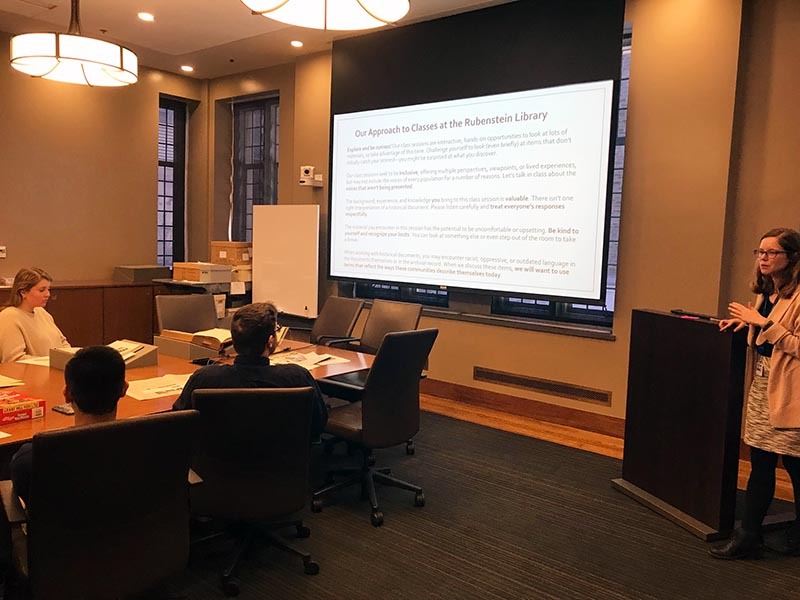 This year, participants included the main coordinator of the event, Dr. Jeff Baker, along with Dr. Ara Tourian, Dr. Rick Madden, Professor Valeria Finucci, Professor Shannon Withycombe, and Rubenstein Library staff members Laura Micham, Kate Collins, Andy Armacost, and Jessica Janecki. Materials on display ranged from a 17th century copy of a 14th century illuminated Islamic medical manuscript to the controversial Pernkopf atlases from the mid-twentieth century. The comments I heard this year were “awesome,” “I love anatomy so I loved everything,” and “overall, this experience was great and I liked to see the progression of anatomical representations.” I overheard students have serious ethical discussions about dissection and talk about the variety of ways they learn about the human body. I also talked to a student who told me that the greatest tool out of all the tools a student could have in the anatomy lab is the hand. Dr. Rick Madden talks with medical students at Anatomy Day. Photo by Mark Zupan. I’m already looking forward to next year’s Anatomy Day and talking with students about the array of anatomical texts here at the History of Medicine Collections! For more photos, visit the “Anatomy Day 2011” set on our Flickr photostream! Post contributed by Rachel Ingold, Curator for the History of Medicine Collections. 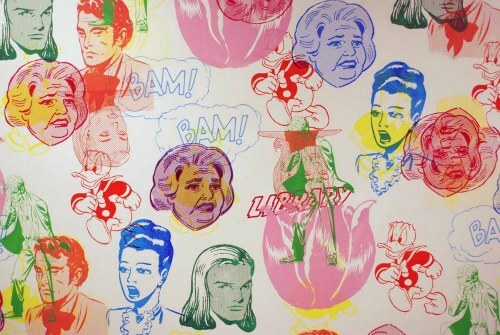 When most people think of screen printing they usually visualize Warhol’s “Marilyn” or an indie rock gig poster or a pastel colored beachscape print, but not many folks know that screen prints can also be found printed directly on walls. This summer I had the opportunity to make a mural on a wall in Perkins library (in a hallway leading to the Gothic Reading Room) using a vertical screen printing technique that I’ve been researching. The project is the culmination of a Collaboration Development Grant from the Duke Council for the Arts. The grant also involved bringing Dutch artist Stefan Hoffmann to Duke to share his highly-developed vertical screen printing methods with me; students; staff; and Duke Art, Art History and Visual Studies professor Merrill Shatzman. Beyond applying newly developed vertical screen printing techniques, the mural also gave me the opportunity to take advantage, and bring attention, to the RBMSCL’s Edwin and Terry Murray Comic Book Collection. In the past four years I’ve been using the Murray Collection as a teaching tool and resource for my Art of the Comic Book and Zines class. 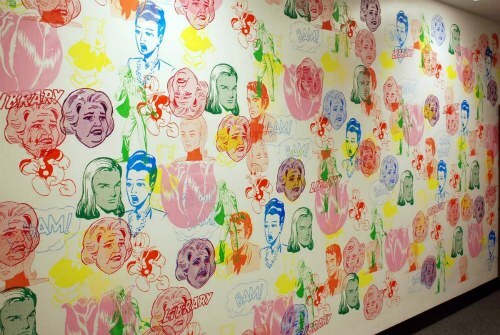 The mural design used appropriated images taken from an assortment of comics found in the collection. These included Marge’s Little Lulu and Tubby, Classics Illustrated – The Black Tulip, The Mark of Zorro and Walt Disney’s Donald Duck. I also used images taken from books found in the Lilly Library comics and graphic novels section (A Steve Ditko monograph and Love and Rockets, New Stories No. 1 by the Hernandez brothers). The images ranged from faces/heads to a standing figure to a tulip flower. I really wasn’t thinking about content but more about interesting shapes and forms—although I did use some text that related to the location of the piece. The concept for the mural was to make a colorful and active design that used pop culture and street art/graffiti strategies (practiced by contemporary artists like Shepard Fairey, Faile, and Bäst and pioneered by artists like Polke, Rauschenberg, Lichtenstein, and Warhol). This included layering, repetition, and patterning, which can be easily implemented using the vertical screen printing method—one image per screen applied to the wall over and over again. This method also yields unexpected relationships between content and shapes that I find very exciting. The viewer can make their own narrative or allow it to be purely decorative. For this reason, the mural is untitled. For more information about this project and other vertical screen printing information go to www.verticalscreenprinting.com. Post contributed by Bill Fick, Visiting Assistant Professor of the Practice of Visual Arts. Thanks to Will Hansen, Assistant Curator of Collections, for coordinating this post. Today is Zine Library Day! And we’ve been celebrating by making zines! 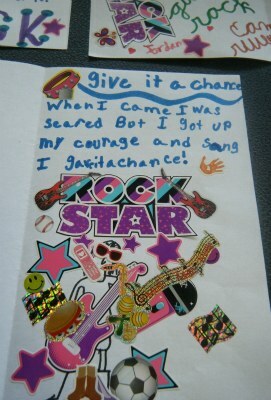 Future rock stars at NC Girls Rock Camp made zine pages in a workshops led by Kelly Wooten, Tali Beesley, and Alex Krensky of the Sallie Bingham Center for Women’s History and Culture; Erin Hammeke, conservator for Special Collections; and Rosemary Davis of the Duke University Archives. 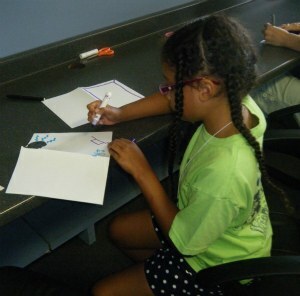 This is the fifth year our librarians have led zine workshops for NC Girls Rock Camp! You can celebrate our anniversary and Zine Library Day by downloading the Bingham Center’s fun new mini-zine and making your own! You’ll find more pictures from this year’s workshops—and past ones, too—at the Bingham Center’s Flickr photostream. Learn more about Zine Library Day on this wiki. Post contributed by Kelly Wooten, Research Services and Collection Development Librarian for the Sallie Bingham Center for Women’s History and Culture.